Pending. Four story townhouse steps from the Old Market. Upgrades throughout. Stainless, granite kitchen, hardwood floors in the living, dining, kitchen, and bedrooms. Upgraded tile and shower door, expanded rooftop deck newly replaced, surround sound, security system, gas lines on rooftop deck and balcony. Custom barnwood shelving on every level. Floor to ceiling windows. 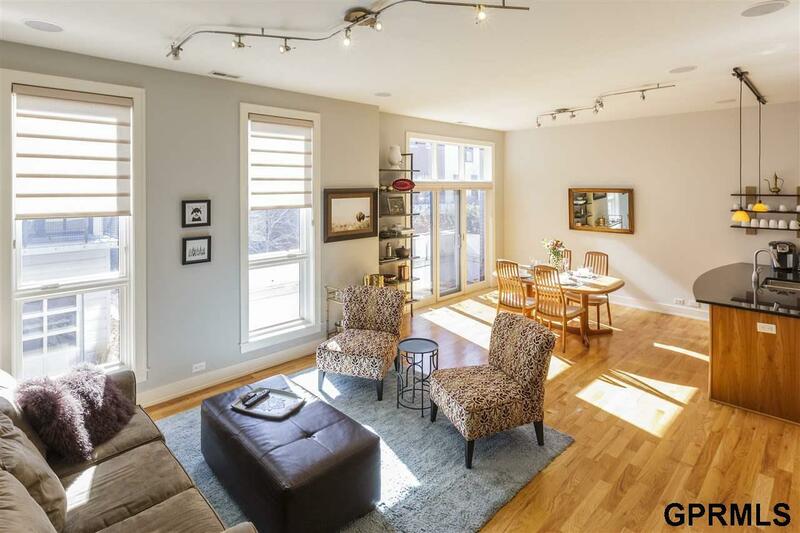 Updated, bright, and well-maintained townhouse steps from the Old Market with a 2 car garage, balcony, and rooftop deck. Listing provided courtesy of Sonal Llc.